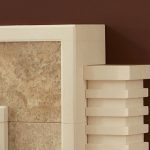 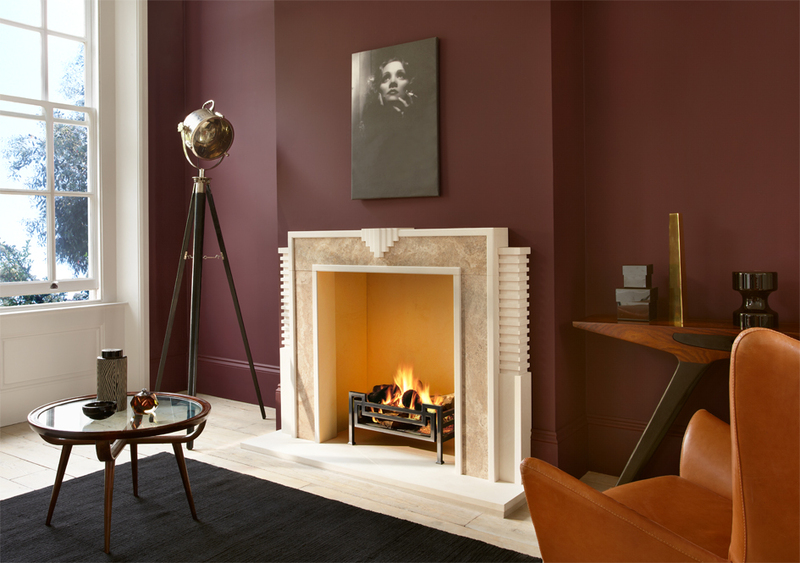 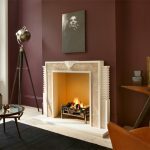 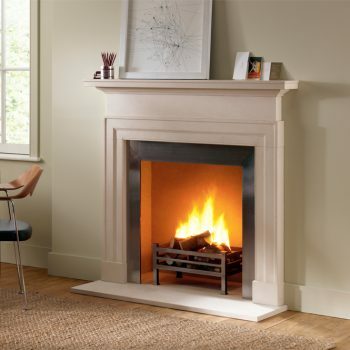 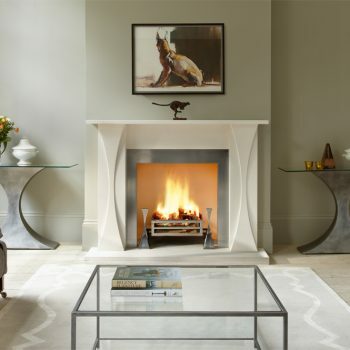 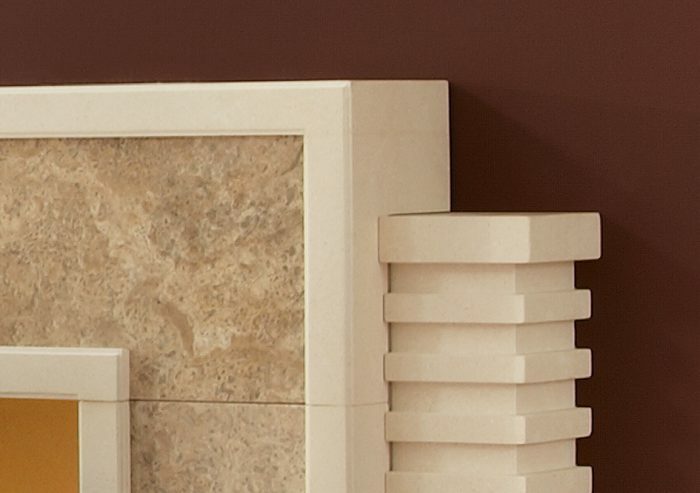 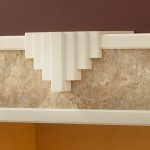 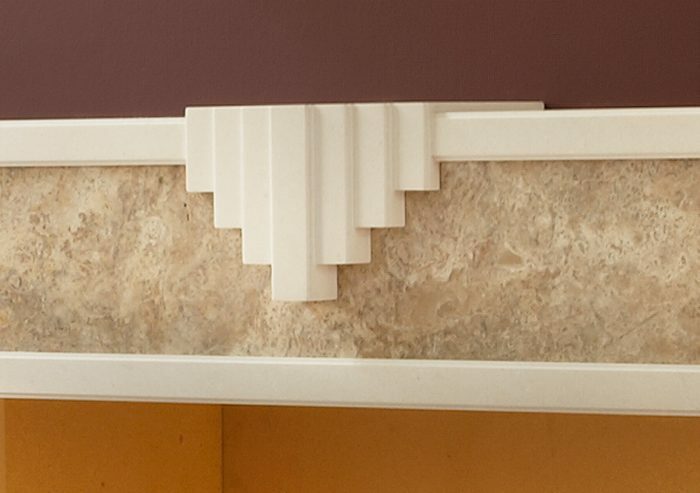 This fireplace is a contemporary re-working of a classic Art Deco style featuring a striking combination of limestone with inset panels of Etruscan Gold marble. 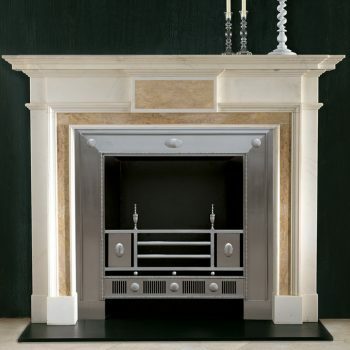 It is shown with matching limestone hearth and interior panels and the Fibonacci fire basket. 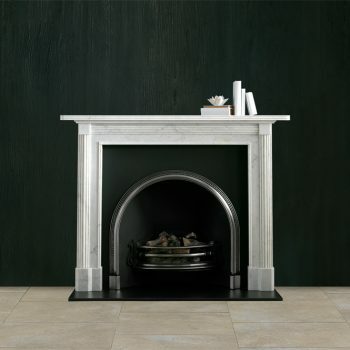 It is also available in statuary marble. 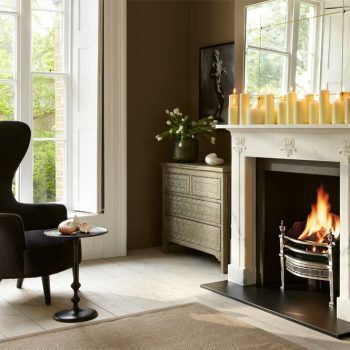 Barbara Hulanicki is best known as the founder of Biba, the iconic fashion store which opened in London in 1964 and went on to become one of the most popular and influential fashion brands of the decade.